The first and second version were built when I only had a single photo of the 'best' side. My guess was for transmission to be via sprocket and chain. I later found this was incorrect. It was by gears. 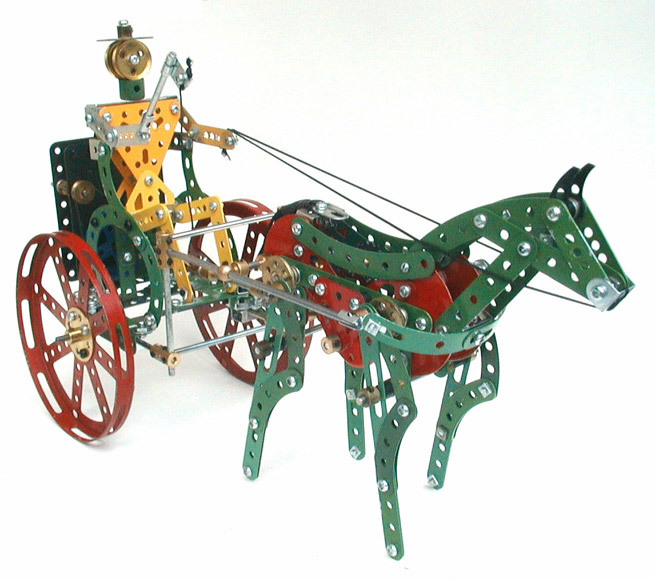 The second model completed driven by a No.1 clockwork motor. Horse was too heavy and there was too much friction in the drive to work. Geometry adjustments were also needed. I decided to fit it with an electric motor . And have some fun with the digital camera. 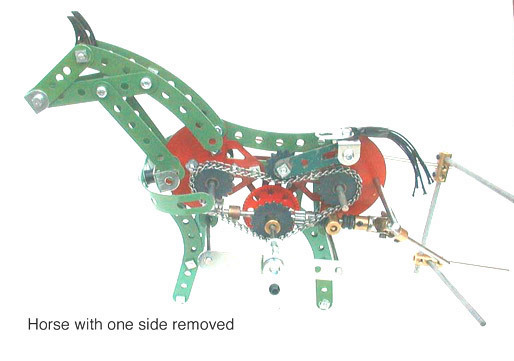 The horse was fitted with rubber feet (23c) for better adhesion. 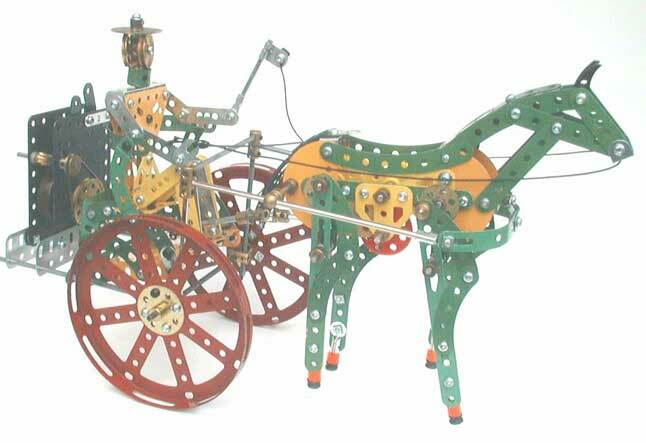 The third model built had gear transmission to all shafts within the horse. Greater attention was made to accuracy and changes made to reduce friction. 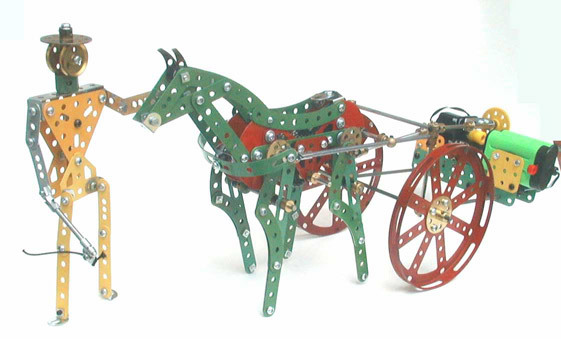 Note also the new axle position alowing the motor to partially counterbalance the weight of the horse. 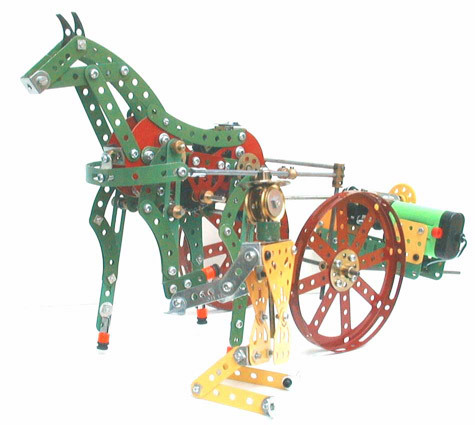 This horse works with both clockwork and electric Marklin motor.